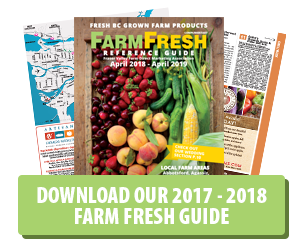 Content on the Website is provided for general information purposes only, to inform you about Fraser Valley Farm Direct Marketing Association Material on the Website should not be relied on for any purpose. Fraser Valley Farm Direct Marketing Association is providing the content on the Website in good faith, but no warranty or representation is given that the content is accurate, complete or up to date. Use of content on the Website is at your own risk. While Fraser Valley Farm Direct Marketing Association takes reasonable precautions to prevent computer viruses and other malicious programs on the Website, no liability is accepted for them. Information transmitted via this Website will pass over public telecommunications networks. Fraser Valley Farm Direct Marketing Association makes no representation or warranty that the operation of this Website will be uninterrupted or error free and disclaims all liability in respect thereof. This Website may contain links to other websites. 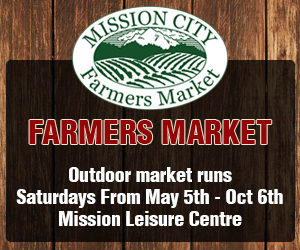 Fraser Valley Farm Direct Marketing Association accepts no responsibility or liability for any material supplied by or contained on any third party website which is linked from or to this Website, or any use of personal data by such third party. Please direct all inquiries to directors@bcfarmfresh.com.